The holidays are behind me and the New Year's celebrations are looming. But time waits for no one so back to the fun stuff ... talking Supergirl. Of note, the new Dial H mini-series is scheduled to begin. And oh yeah, there's Detective Comics #1000! Young Justice continues to sound interesting. But we're here to look at the Super-books. So on to focused coverage. The idea of Harry Hokum tinkering with Supergirl's genome and making monster copies of her to fight is a winner. The cover by Yanick Paquette (a person favorite) looks like a horror movie poster and that makes it a winner. And even the idea of the Omega Men is fun. The downside is this is another issue without Kevin Maguire. This is starting to feel a bit like a turnstile title with a new artist drawing every issue. Not a knock on Eduardo Pansica. I just like a creative team on a book, at least for a little bit. The holidays falling early in the week have made standard scheduling on this blog a bit of a nightmare. I had a decision to make. Keep Matrix Mondays on only Mondays, delaying the conclusion of The Supergirl Saga a couple of weeks. Or somehow transpose Matrix Mondays to another day. Somehow I managed to move it to this Thursday ... but more on that later. 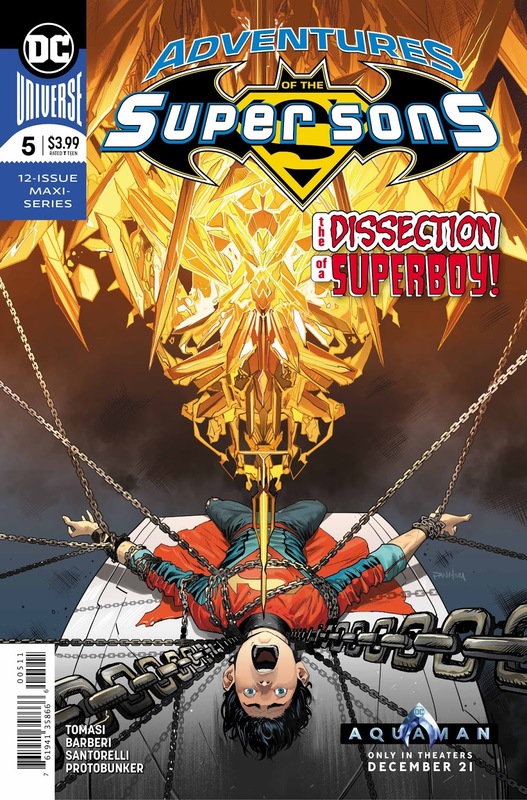 Superman #22 is the last part of the three-part Supergirl Saga. 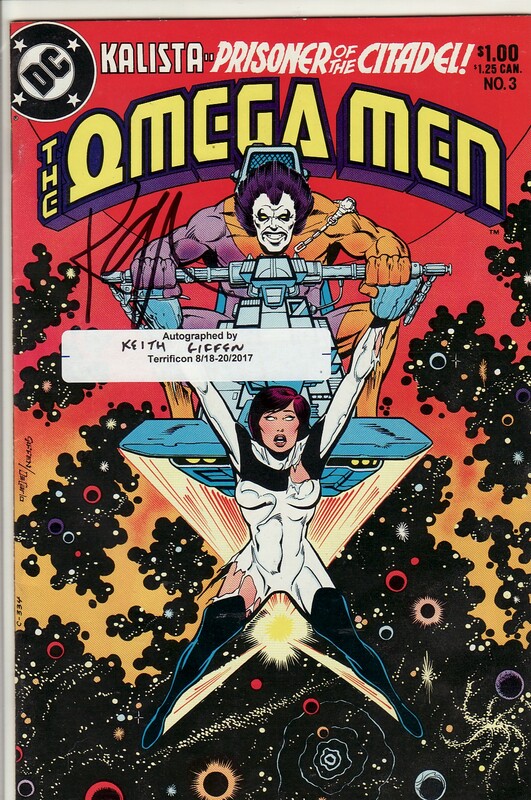 It also is the conclusion of John Byrne's run on the character, with Byrne writing and drawing the issue. 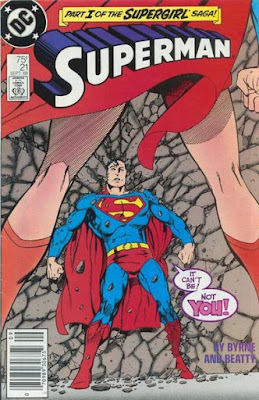 The fallout of this storyline effected the Superman books for some time afterwards, leading into the introduction of Gangbuster, the Exile storyline, and the ultimate 'small e' exile of this Supergirl after a bit of misdirection. And then, of course, there is the actual reason why Superman exiled himself to space after this. Spoiler alert for the 30 year old story, he executes the Phantom Zone villains from the pocket universe. 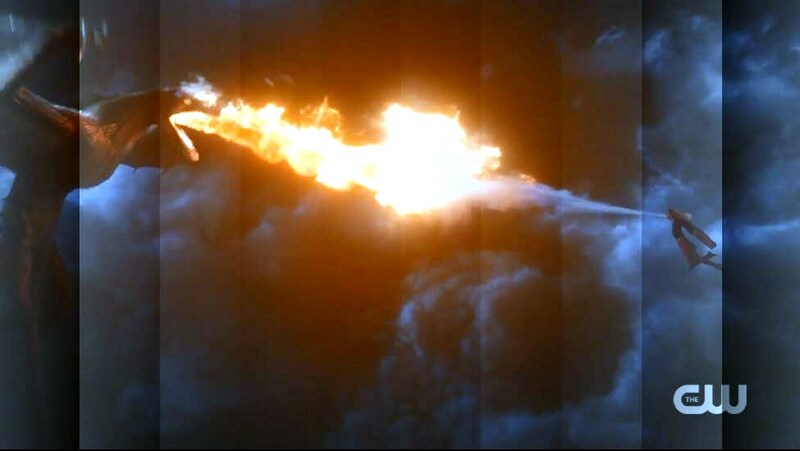 When this came out, I thought it was a stunning ending. And I thought the repercussions of it were appropriate with Superman questioning himself and whether it was safe for him to stay on Earth. It also made him skirt the edges of mental stability. Things wouldn't be the same. And there isn't an easy comeback to that. He does kill here. Of course, as I said before, we had his near immediate introspective reactions of regret and shame a mere 30 days later, a self-exploration that lasted over a year. Not the same as movies in which three years pass between plot progression. But I vowed that I would curse the darkness of the Snyder-verse any more. Instead, I'll shine the light on the high points of this story. Supergirl was back, in a way. Despite his heroic front, the pocket universe Luthor turns out the be just as big a narcissist as the classic. And Superman learns a hard lesson. Merry Christmas and Happy Holidays to all those who celebrate! I'll be taking a couple of days off! See you soon and hope Santa treats you all well! I conclude my in depth review of the CW three part Elseworlds crossover today, looking deep into this last episode which seems filled with hints of the future as well as some more incredible comic book homages. To start off, I have to say that this was, by far, my favorite of the crossovers. I liked Invasion. I loved Crisis on Earth X. But Elseworlds seemed like a love letter to comic book fans who watch the show. There is no reason to put in some of the sequences or shots in this story except to make the seasoned comic reader nod their head in happiness. During these shows if something happens that is very comic related, I usually pause to fill in my kids. This time, I hit the pause button so many times they asked me to reassess what I thought was important enough to tell them. I will also add that Crisis On Infinite Earths is the foundation of this crossover. I have already mentioned the red skies, the Monitor, the upcoming threat the Monitor is trying to prepare for, and the E-90 Flash appearances. But this episode really mines that material. And I was shocked to see how much that original material is ingrained in me. When we got into destinies and anticipated deaths in this episode, I got goose bumps. 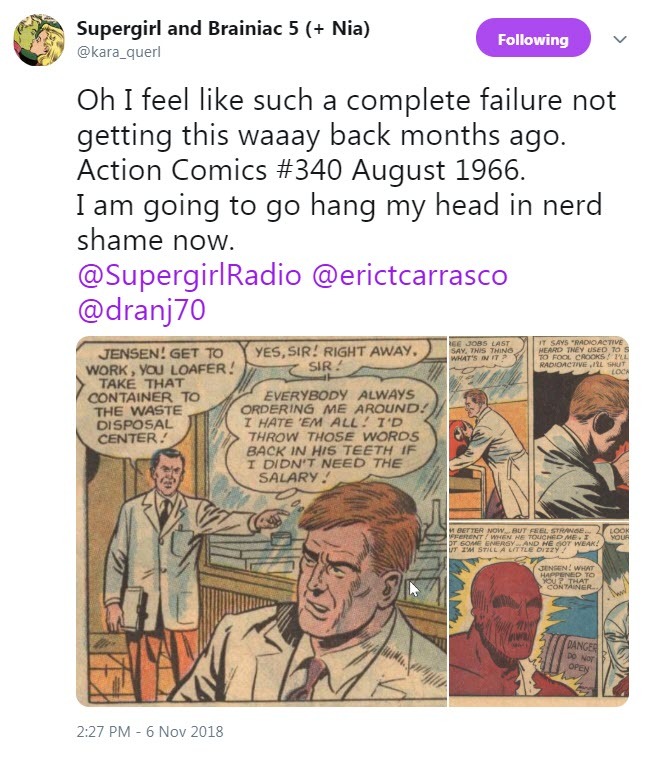 Supergirl's death in the Crisis still effects me, this wizened comic reader, 30+ years later. All this to say kudos to Marc Guggenheim and the show producers and the stars for putting together something I thought would never happen. And I get the sense this was just the appetizer. The second part of the CW Elseworlds was a bit more serious comic crossover, like a big annual crossover, and less like a silly single issue of Super-Team Family. The stakes became very real in this episode of Arrow. The immersion into the whole DC became deeper. The emotions, foreshadows, and angst that much more palpable. I said in my review of the first part that this felt a little like Crisis On Infinite Earths Lite and this episode continues that with direct homages and indirect homages to what happened in that landmark series. As a long time fan, and someone who bought COIE off the rack, I can tell you I was basically gobsmacked this whole crossover. There was so much to love about this. And I always worry that I might be focusing too much on the minor little Easter eggs in these reviews as opposed to recognizing the story as a whole. Yes, the body swap and the 'relationship' stuff was a very 'CW' layer to add. But this story of heroes getting together, fighting bad guys, meeting up with new allies, and saving the world was just classic comics, the reason why I still read these things today. And that makes me happy. This is what a DC movie should feel like. I won't belabor that point. I know I am over a week late in reviewing the three part CW crossover event Elseworlds but it took me a while to wrap my head around how I wanted to go about reviewing it. 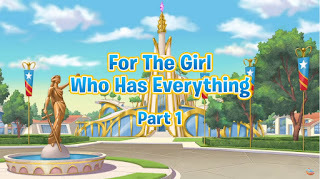 Initially the thought was to review it all in one big post, covering all three episodes and creating a massive missive about all that happened. But after attempts at doing that I realized that would be doing this crossover an injustice. Because this is flat-out, one of the best DC super-hero live action products to be done. It deserves to be looked at closely and have its beauty acknowledged. For one, it completely embraces its comic book roots. Unlike the Snyder-verse with its dour washed out tones, unlike Smallville and its 'no tights/no flights', this show wallows in its four color history. It plays out like 'Crisis on Infinite Earths' Lite, a sort of stripped down COIE. But for a comic nerd like me, there are so many nods, acknowledgements, and Easter Eggs sprinkled throughout that I couldn't help but be thoroughly impressed. Next, it also leans into its own history. These are characters with years of their own stories. So to see Ollie and Barry call back to something that happened when they first crossed over 4 years ago showed me how important the internal continuity is. Also, it is clear that these actors simply enjoy working with each other. There is tremendous chemistry throughout. I was actively rooting for them. And, no word of a lie (and you'll hear about it when I cover part three), I actually got chills once. Then there is a spot on Batwoman performance and a Gotham I want to explore more. And, perhaps most of all, we got a Superman and Lois that I can 100% get behind. This is the Lois and Clark I want. Perfect. 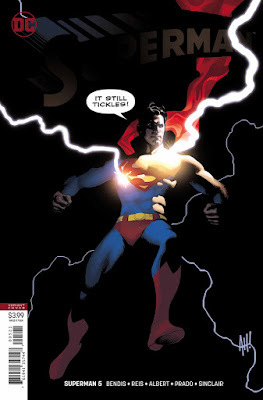 Superman #6 came out last week and was a very entertaining read. From formatting decisions to plot progression to knock down fight sequences to emotional beats, this whole thing gave me a lot to mull over when it was done. And that isn't even mentioning the highly anticipated and highly dreaded cliffhanger ending. But there was a story-telling moment that I have to admit surprised me and therefore impressed me quite a bit. When this grizzled and semi-jaded comic reader is caught off guard, it needs to be mentioned. All of that means I must extend my respect to writer Brian Michael Bendis who has somehow made me interested in this Rogol Zaar story. I started out shrugging at this whole thing and looking forward to Action Comics much more. But these last couple of issues have really been standouts. Of course, equal credit rests on the art team of Ivan Reis and Joe Prado. The book opens up with amazing double splash pages as Superman's conflicted thoughts surround the slugfest between titans. The art is just stunning. This is one of those issues where I paused before turning the page to make sure I was drinking in all the artwork. Anyways, there is a lot to mull over in the details so on to the book. 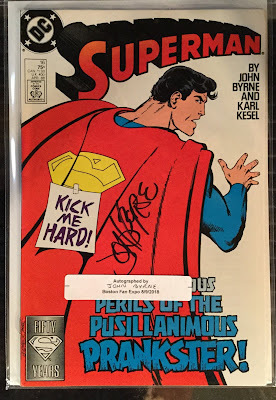 Last week I began the idea of Matrix Mondays, a spotlight on some of the pieces of the Matrix Supergirl's history which I haven't covered during the 10 plus years of this site. First stop is The Supergirl Saga, the storyline which brought back a Supergirl to the DCU. 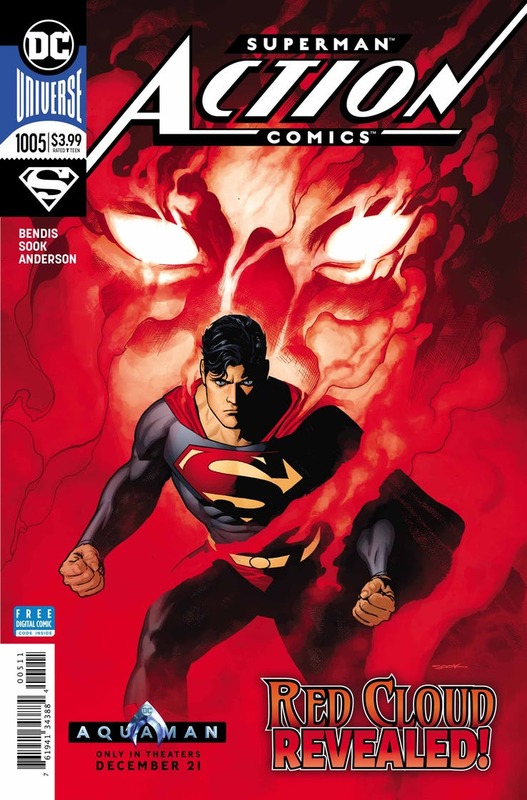 Last week I covered chapter one in Superman #21. Today we'll dive right into the second chapter in Adventures of Superman #444, by writer John Byrne and art team of Jerry Ordway and Dennis Janke. This was an interesting time in the DC Universe. The Crisis was only a couple of years in the past. The idea of something being pre-Crisis or post-Crisis was still fresh in readers' minds. And the long-reaching continuity ramifications were still being discovered. It also meant that if creators wanted to take one last look back, they could do so. Readers still remembered infinite Earths. Ahhh ... but we should have been able to remember. There was only one universe throughout time after the Crisis. As a result, if you wanted to cobble together some sort of coherent patch in Legion continuity, you would come up with the concept of a 'pocket universe', a slice of time/space that wasn't a whole universe. Still, something had to be done to fix the Legion. So here we are. This issue does what a middle chapter is supposed to do, filling in the details of a story while setting up a satisfactory ending. This issue is basically a flashback of the Pocket Universe Earth and what happened after the death of Superboy in the Baxter Legion book. It does give artist Jerry Ordway the opportunity to revisit Silver Age looking elements of the DCU. Nothing like old school Quex-Ul to make a long time Superman fan happy! And we get just a smidge more of this Supergirl. But this is an info dump in preparation of the finale's conflagration. One last note. I love that the cover of this issue is basically the first panel of the story. 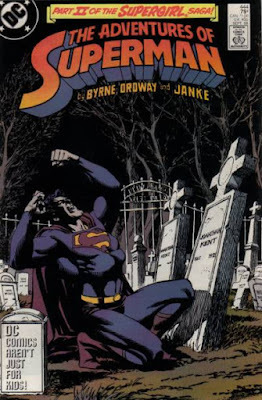 Here is Superman kneeling at the graves of the Kents who on this world have passed. 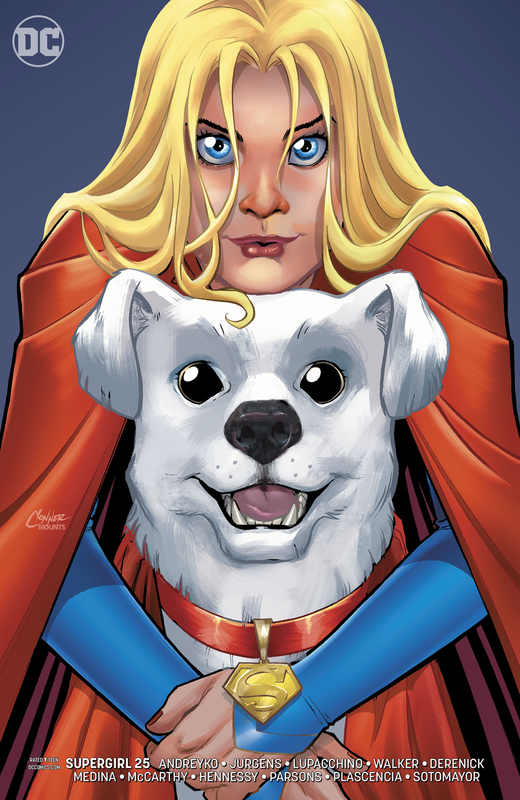 Supergirl #25 came out last week, a double sized anniversary issue celebrating ... I guess ... the title making it to the quarter century mark. It is amazing what passes as a high number in comics these days. The book is made up of three stories. The first continues the current plotline with Kara investigating Rogol Zaar's part in the destruction of Krypton. Writer Marc Andreyko does a decent job here mixing in visions and reality, playing on a bit of Supergirl's history, and adding a new rogue to her villain list. The art there is done primarily by Supergirl veteran Emanuela Lupacchino and fits in well with the Maguire/Shaner look to the book. The second story focuses on a past encounter of current shipmate Z'ndr Kol. We get a better sense of the sort of swashbuckling, Tomb Raider-like adventurer he is. But we also get some crumbs to deepen the current mysteries of this title. I don't know how much I can trust this guy. And there are so many apostrophes in his language that I can't help but think he's a Martian. The last story feels like an inventory holdover for some never published holiday special. Dan Jurgens and Tom Derenick give us a story from Supergirl's past, clearly set in the Steve Orlando era, with a simple but beloved holiday message. Overall I thought this was a very good issue but for one overused plot element that bores me. Perhaps it is that everyone has less cash to spend because they are buying holiday presents. Perhaps it is that everyone has less money to put to floppies because they subscribed to the DCU streaming service. 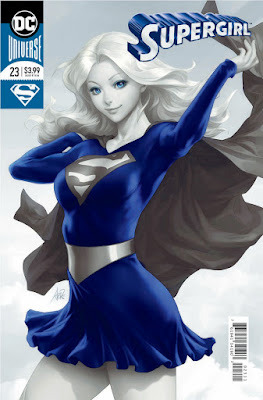 You might recall that sales on Supergirl #23 were ludicrously high, perhaps bolstered by a foil enhanced Artgerm cover. I thought fan favorite Doc Shaner being on art for Supergirl #24 might keep the ball rolling. Supergirl #24 not only sported that spiffy Shaner art but introduced a suave Coluan into the mix. It had some fun Kara/Krypto fighting sequences. And we even saw how quickly Supergirl can become non-super if she taxes her system and isn't bathing in yellow sun. Overall, not a bad issue. And definitely easy on the eyes. So how did it sell. 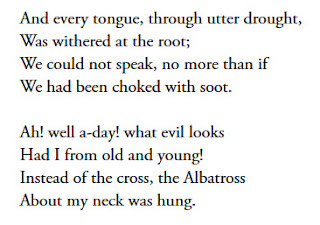 In Rime of the Ancient Mariner by Coleridge, a sailor who shot an albatross which had given the ship good fortune is forced to wear it around his neck as the boat sinks into a hell. The word albatross subsequently has become synonymous with a burden on someone, especially in the context of some sin or ill fortune that has fallen on them. 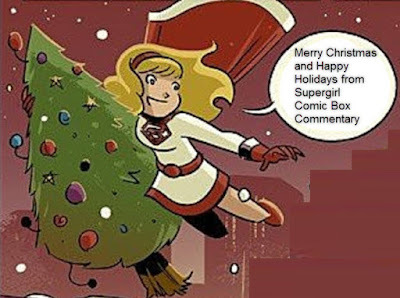 A rather literary start to a post on Supergirl Comic Box Commentary but bear with me. Because today I thought I would comment on characters who have had an albatross placed in their continuity and how difficult it sometimes is to move past that burden, even in a genre where resurrections, retcons, and reboots are common. In comics, it is often a dark moment for a character where it is simply too hard to move on. And I wonder if, when such a story element is being pitched, if the creative powers that be realize that such a plot point might be extremely damaging moving forward. Let's start with the impetus for this post, Doomsday Clock #8 and poor Firestorm. I have been sort of underwhelmed with Doomsday Clock as a whole. Time delays within each issue and a sort of plodding pace so far has made it difficult to embrace. While moments have been interesting (old green lanterns, Johnny Thunder, Rorscach II), I have read and bagged and haven't revisited. Even the back matter, which I am sure is filled with goodies has been skimmed and been mostly forgotten. 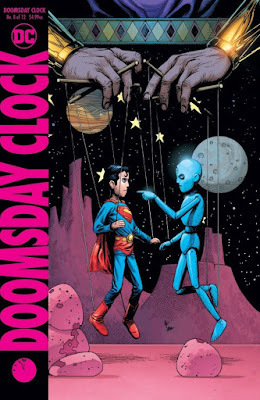 And then Doomsday Clock #8 happened and it just seemed to matter. Geoff Johns made the whole thing click. It didn't hurt that the issue basically revolved around Superman, something Clock was supposed to do from it's inception. It also helped that Superman was portrayed perfectly, from an implied beat down of an obstinate Black Adam to a friendly and inspirational voice to Firestorm and people in general. I was happy. But not everybody was. 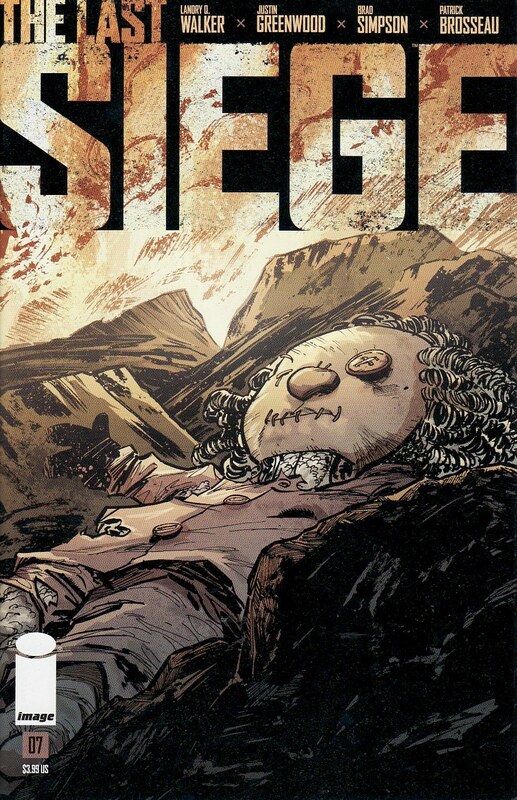 The Last Siege #7 came out last week, the penultimate issue of this extremely enjoyable mini-series. I have been reviewing comics on this site for 10 years and there are a few sayings that crop up every so often. One is 'big moments need big art', a statement I make when a splash page is utilized appropriately to convey the enormity of a moment. Another is 'when words and art complement each other, comics is at its best'. The former applies to this issue. The latter does not. This issue portrays the title. This is the siege moment. This is Istvan's army storming Lord Aedon's castle. It is told in a series of two page spreads, one side a splash, the other side, panels conveying smaller moments of action. There is a thread in the book, a series of panels designed to build suspense in the tale, told through panels growing larger and brighter. This whole book is big art. And for the battle that has been brewing this whole mini-series, it is thrilling. But, amazingly, this is a 'silent issue'. There isn't one spoken word. There isn't one text box. There isn't one 'meanwhile'. Words can't complement the story. There are no words. Instead, the art has to carry the story. The pace of the battle. The passing of time. That increasing suspense. The characters' thoughts and feelings. It all has to be shown, not told. Even the cover is part of the story. A torn doll lying in the rubble of a castle under attack. It shows a loss of innocence. Queen Cathryn cannot be a child anymore. Not here. The image tells us that. Kudos to writer Landry Walker and artist Justin Greenwood for this accomplishment. Congratulations to colorist Brad Simpson for his use of yellows and oranges for this fire-drenched battle. Amazing. Last year I celebrated a ten year anniversary on this site, something I am pretty proud of. But when I was putting together the celebration, what stood out to me was the stuff that I haven't covered here. The Supergirl Helen Slater movie. The Elseworld's Finest book. The Supergirl mini-series by Roger Stern and June Brigman. 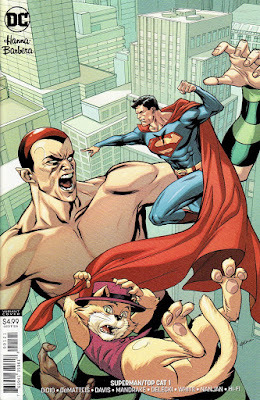 Even Action Comics #252. I'll get there; I promise. One of the things that also stood out was that I never covered The Supergirl Saga, the re-introduction of a Supergirl character into the DCU in the post-Crisis era. I have exhaustively covered Crisis on Infinite Earths, and Crisis on Infinite Earths #7 in particular. So why not Supergirl's return ... okay a sort-of return of Supergirl? 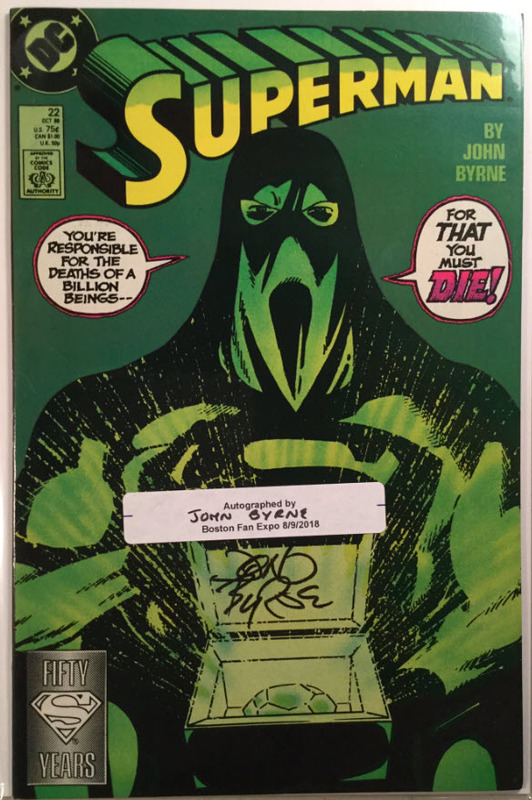 This was brought a bit more into focus this summer when I met John Byrne at Boston Fan Expo (here's a pic of him holding my signed copy). I had grown to love the Matrix version of Supergirl, mostly in the post-Death of Superman time period, when she left Lex, became an independent hero, and ultimately an Earth Angel. 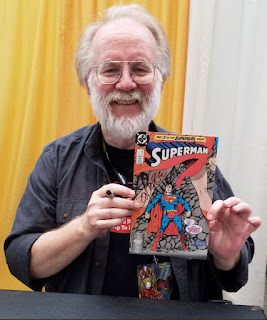 I thanked Byrne for bringing Supergirl back and he looked at me wryly and said 'in way'. I wished I could have talked to him more about this decision but the line to see him was enormous. You got your 30 seconds of time and you left happy. So I thought I would cover this three part story over the next few Mondays, Matrix Mondays if you will. Today we'll cover Superman #21, the first chapter as written and drawn by John Byrne. And I'll do my best to go back in time and remember what I was thinking at that point in time. This hit the stands on May 17, 1988, almost 3 years since Crisis on Infinite Earths #7 was released. What were Supergirl fans thinking? Adventures of the Super Sons #5 came out this last week and was a fun interlude in this rather bonkers title. 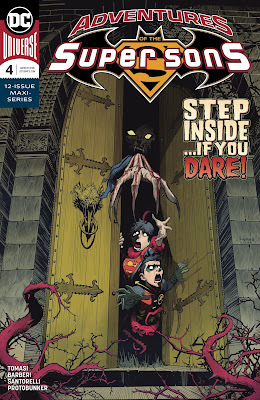 Changes are upcoming for Jon Kent so Peter Tomasi is taking advantage of this series to expose the fun-loving sons to all the madness the DCU can provide. As I have said in prior reviews, Tomasi has been inserting nods to prior DC history events throughout this series. There is a 'plot' of sorts; a young version of the Injustice League, fanboys of criminals from an alien planet who are basically cosplaying the real baddies is after the sons. But mostly this seems like a madcap race. That thread might be weaving through the book. But mostly this feels episodic. This issue wraps up a two part peek at the horror anthologies of the Bronze Age. Stuck on the Planet of Mystery and Secrets, the boys are stuck in a spooky house and faced with potential future versions of themselves. There will be Easter Eggs! But all in all, the boys both learn a lesson and inspire. 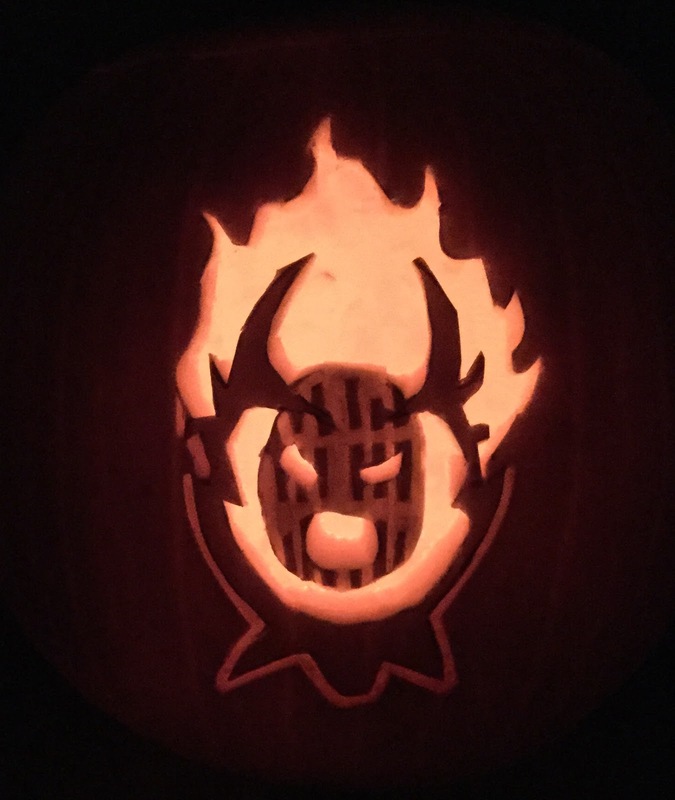 Not bad for kid heroes. The art by Carlo Barberi is still wonderful, cartoony and stylish enough to fit the material perfectly. As I have said before, it'll be a shame when this version of the sons moves on. On to the book. Thanks to blog friend Jon Francis for pointing out a juicy little tidbit about one of my favorite artists, Steve Rude, and Supergirl. In TwoMorrow's Comic Book Creator #18, Rude discusses what sounds like a near miss for being on the Supergirl title in some role. 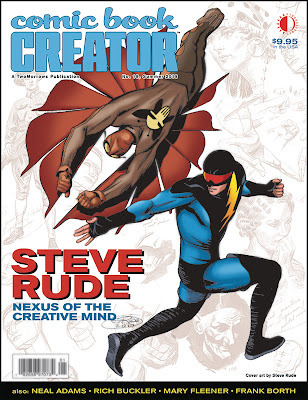 Whether it was regular artist, fill in artist, or cover artist, we almost had a Rude awakening on the book. But I guess it wasn't meant to be. It's a shame because Rude has a clean style that I love. There is a classic feel to his stuff, timeless and beautuful. In an article aptly called 'DC: Hello, Goodbye ... ', Rude talks about a this possible assignment. As you can tell by the title, it ends with Rude saying goodbye to DC. Supergirl episode 408, titled 'Bunker Hill' was another very good episode for this season. 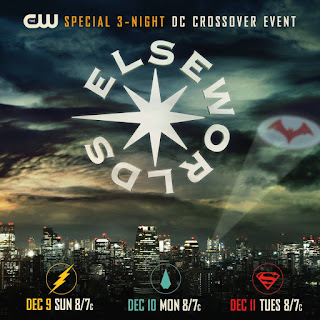 As a 'midseason finale' (I guess the Elseworlds crossover is a stand alone event), this moved the overall plot themes of the season forward while also stuffing in a ton of small character moments, strong dialogue, and Easter eggs to keep the fan in me smiling. No big surprise given the fact that the episode was directed by Kevin Smith and written by Eric Carrasco and staff. The title Bunker Hill refers to a sentiment from Ben Lockwood in the episode. He says that Bunker Hill was a case of losing a battle but ultimately winning a war. And that theme is going to play heavily into this episode's outcome. But it also resonates with how well the show has been handling this political topic of immigration and prejudice. While it is clear the side the show's creators are on, I love how they haven't been heavy-handed in their presentation. In fact, they have done a very good job of showing how people don't consider themselves villains; they think of themselves as the hero in their own story. It shows how circumstances can breed hate in all sides of a problem. And it shows how when you look deeply, we still have a lot common with each other, enough that you think we would all care. You can look at Ben Lockwood and Manchester Black as the same coin but on opposite ends of a political spectrum. You can look at Ben Lockwood and Supergirl as two people who believe in their personal definition of justice and have a 'secret identity' to protect their loved ones. And you can look at Supergirl and J'onn as people who can inspire, who keep trying to help people who are villains by their action but are rebuffed. I think this is the strongest season of this show so far in that they are giving us powerful stories. But this review will cover that and geeky moments too, so settle in. 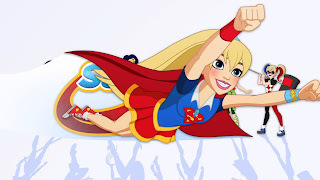 I have been remiss in recent times to review all of the Supergirl appearances in DC Superhero Girls. Perhaps I am falling into a 'comic continuity' funk, knowing that Shea Fontana's version is going to be replaced by Lauren Faust's soon. It is a shame I lost track of this because it is a ton of fun. The title is 'For the Girl who has Everything' and comic fans know that title as a riff on 'For the Man who has Everything', the classic Alan Moore/Dave Gibbons Black Mercy story from Action Comics Annual #11. We know in that story the Black Mercy flower shows Superman his fondest desire, that Krypton did not explode and he has a family. Of course, he realizes (with the help of this friends) that this is a flawed 'perfect reality' and breaks free. 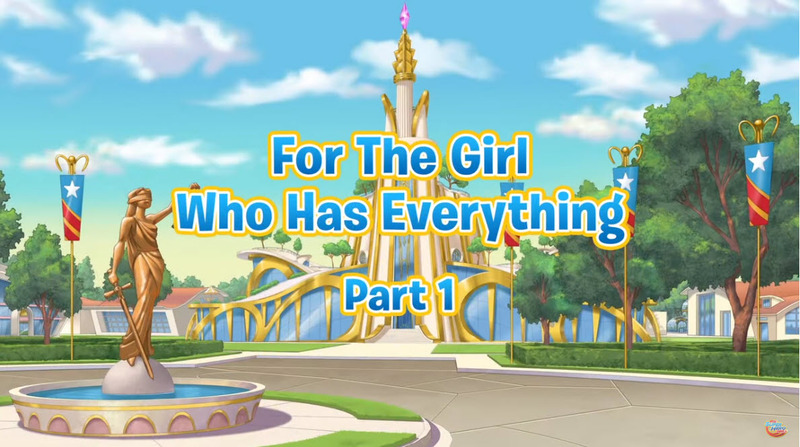 So what is the DCSHG Supergirl's perfect world? 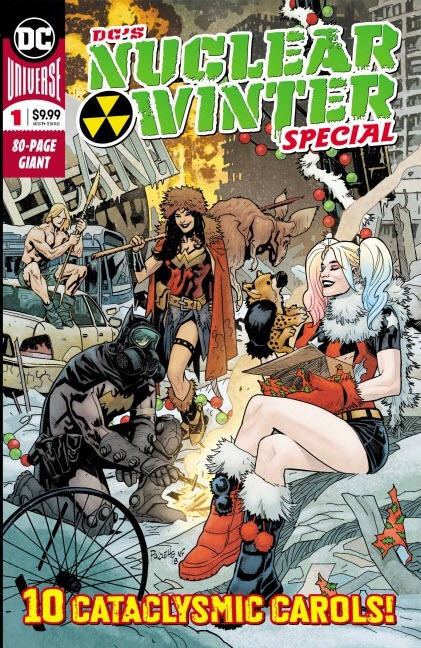 I had seen the solicits for DC's Nuclear Winter Special #1 and I saw the creator list included a number of names of creators who I trust. This includes but isn't limited to Steve Orlando, Paul Dini, Tom Taylor, Cecil Castellucci, Phil Hester, Scott Kolins, Jerry Ordway, etc. That's a lot of names of people whose work I routinely love. But then I saw the price point. $10 is a lot to shell out for a collection of post-apocalyptic, 'this isn't a holiday special', 'out of continuity book. I'd almost rather buy three monthlies and keep those titles afloat. It's like a $10 lottery ticket. It might be a winner. But it might not. And shouldn't that sawbuck go elsewhere? Luckily I have friends who don't overthink things so much and had bought it. Those folks loved it. So when you say there are creators who you trust in the book and there are comic friends who you trust telling you to buy the book, you reach into your wallet and you plop the Hamilton down. I am so happy I did. I won't cover all the stories here but they are all very good. But tucked in there is a Supergirl story by writer Tom Taylor with breakdowns by Tom Derenick and finished art and colors by dazziling newcomerYasmin Putri. The tale is absolutely wonderful. It certainly will make my top ten list. It leans into so many things I feel about Supergirl's history. It is hopeful, even in the nightmarish world it exists in. And it is beautiful. This alone would have made the book worth buying. Action Comics #1005 came out this week and was a crackling good time. 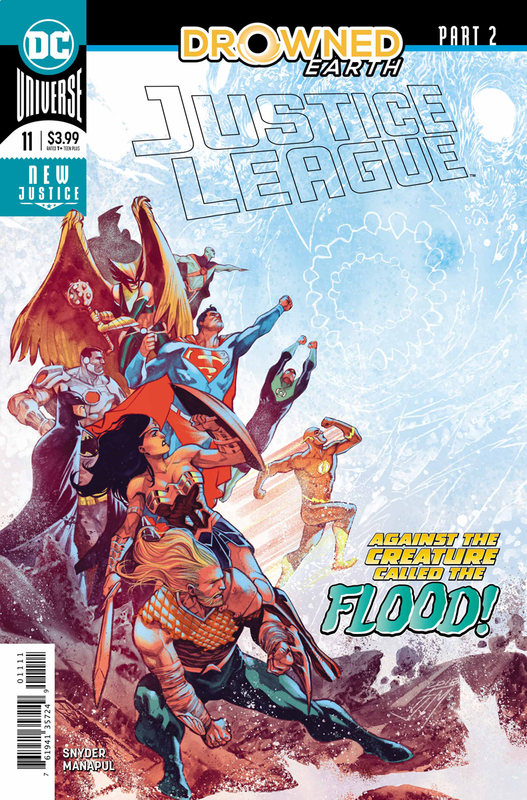 This issue was a perfect sort of middle chapter for what we have been reading here, pushing forward all the plot threads organically, giving us new information, and making me want more. From its inception, Action Comics has been my favored Brian Michael Bendis super-book and issues like this is why. After last month's Lois problems, this issue righted the train. Certainly Superman/Clark has a huge presence. He is the straw that stirs the drink. But the real power of Action is the supporting cast. From the individual mob leaders in the Invisible Mafia to the Planet staff, everyone builds on everyone else. I want to learn more about these people and their motivations. I want to know the answers to the mysteries we have been teased with. This is an ensemble book with a superstar center and I love it. Of course, the book is profoundly helped by the achingly fantastic art of Ryan Sook. Sook's stuff just leaps off the page. From the action sequences to shadowy crime meetings to seedy clubs to swanky affairs, Sook's page layout, panel design, and figures are about as perfect as you can get. I know he is working on some secret future project with Bendis but I need him on the super-books now and then. How about he is the perrenial Annual artist? And I usual am horrible about not mentioning the rest of the artistic team, something I need to remedy. Brad Anderson's colors also help tell the story. The psychedelic colors of the opening scene evoke the 60's/Ditko-ness of it all. The bright colors in the posh party stand in contrast to the inkiness of the mob meeting held in darkness. And the letters by Josh Reed, especially the sound effects, add to the action. Okay, enough gushing. On to the details. 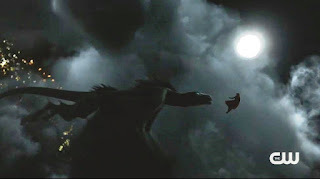 In Supergirl Episode 406, 'A Call to Arms', Supergirl fought a dragon. 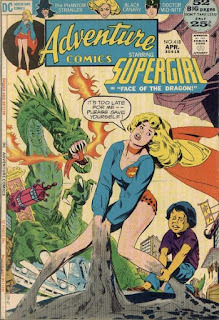 Thanks to a comment on this site, I was reminded that this wasn't the first time Supergirl had fought a dragon. 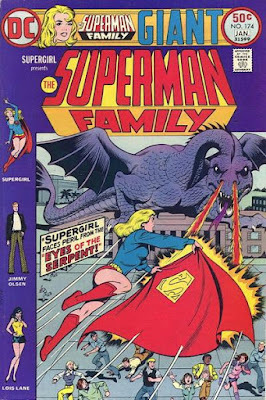 I was reminded that Supergirl fought a dragon in Superman Family #174. How could I not dip into the back issue box to review it! Of course, that led me to review the other time Supergirl fought a dragon (sort of) in Adventure Comics #418. So sit back and relax and get ready for me to review and try as best I can to makes some sense of the following story. Because it is one of the nuttiest stories I have ever read. Superman Family #174 came out in late 1975. In 1974, Superman's Girlfriend Lois Lane was canceled at #137. Supergirl's solo title was also canceled in 1974 at #10. And Superman's Pal Jimmy Olsen was renamed Superman Family with #164. Those three solo books were basically consolidated into the 'new title' Superman Family. Readers were given one story for each of the three main players. One story would be new; the other two would be reprints. The new stories would rotate and readers would know who was the star of the new material by who dominated the cover. And so Superman Family #174 had 'Eyes of the Serpent' starring Supergirl as the lead and fresh story. 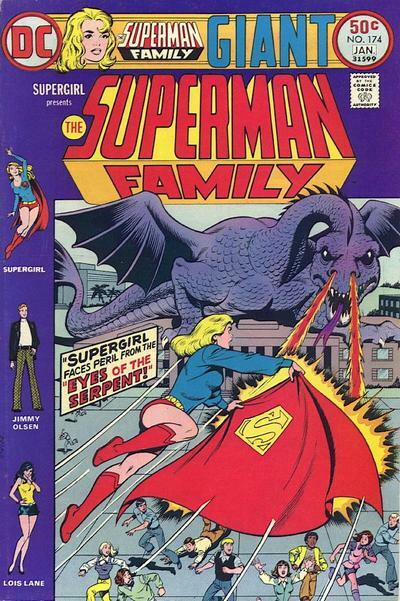 It has a sweet cover drawn by Kurt Schaffenberger showing Supergirl using her cape to block a dragon's nostril fire. I am writing reviews for this show but I will no longer be adding comments or responding to comments. Nor will I be baited into responding to personal attacks against me. I will be deleting comments which I feel veer into fake news, personal attacks on myself or other commenters, and anything else I (as blog owner) deem vile. I review a television show. This show is a political metaphor but I do not run a political blog. Supergirl episode #407, 'Rather The Fallen Angel' was another very good show in this strong season. This season is clearly a referendum on immigration with the villain being a xenophobe and the good guys trying to stop a violent uprising based on hate. But one thing the show has been doing very well is show how there are shades of gray between the starkness of white and black. Agent Liberty is too far gone now, a murdering extremist. But the events that nudged him down that path were real, showing how he felt like an outcast in his own land. Manchester Black we learn here is also too far gone, attacking humans who disagree with him violently. Neither of these people, politically diametrically opposed, are heroes. But they are the extreme edges. In the middle are people like Tom, the Children of Liberty member who realizes his error. And James, who was willing to compromise himself to save one person. And Lena who is willing to risk the lives of people for her research. Kara says it clearly at the end of this episode, the duality of people ... some mix of good and bad ... is making it more and more difficult to judge with the lens of simple 'good' and 'bad'. For a show that has worn its political heart on its sleeve in an over-the-top way, this nuanced approach is refreshing. Agent Liberty was hurt as Ben Lockwood when he lost everything ... but his reactionary stance after was wrong. Manchester Black was hurt when he lost everything ... but his reactionary stance after was wrong. They are two sides of the same coin. But both sides have been scratched up. In essence, these were people who fell, like the fallen angels in the title. Aside from a few plot conveniences which push the plot forward, the story here and the imagery was all very good. This is probably the strongest season for me in this show so far. On to the details. Last week on Supergirl Episode 406, 'Call to Arms', we saw Supergirl fight a dragon. It was one of the best sequences I have seen on the show in a long time. I flat out loved it. As a result, and thanks to a nudge from someone who left a comment here, I decided that I should take a look back at other times Supergirl fought a dragon. These are all in the fluxing time period of the early 70s. Comics were starting to get more serious. But there was still a bit of Silver Age lunacy that could mix in. As a result, the two dragon stories that I am going to review are pretty wonky. So settle in. Believe it or not, the earlier of the two stories is the less insane one. Adventure Comics #418 came out in 1972 and the Supergirl run as the headliner in the title was just a few issues away. 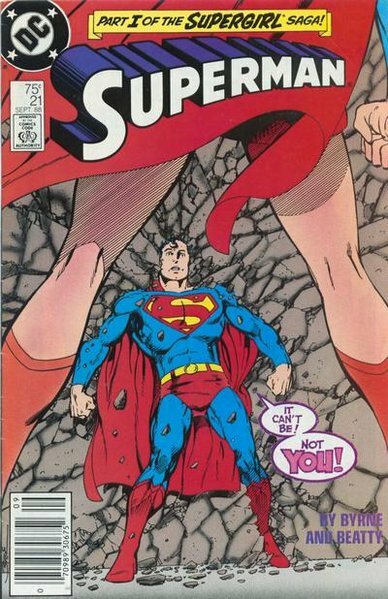 This was a time when the Supergirl stories were trying to be a bit more mature. Mike Sekowsky started the 'new adventures' way back in Adventure Comics #400. But Sekowsky had left leaving a handful of other creators to pinch hit. And so we have 'The Face of the Dragon', a story which might be trying to cash in on the Kung Fu craze happening in America at the time. It also is trying to mesh the odd mix of film noir with the four color escapades of a super-powered Maid of Might. Basically, your mileage may vary. All that said, please pick this book up if you see it in the cheap bins. The Black Canary back-up has a story with ridiculously gorgeous Alex Toth art. That alone is worth the price. But onto the Supergirl story! Let's just say when I saw the cover for Supergirl #27 I felt a bit deflated. I have been covering this character for ten and a half years. I have seen her character go dark and get redeemed at least 4 times over that period. Four times ... that I can think of. It seems like every so often, DC's upper echelon thinks that a 'dark Supergirl' is what is missing in the world. And every single time the take fails ... because THAT'S NOT SUPERGIRL ... and someone has to come in and smooth things over. Sterling Gates, Tony Bedard, Mike Johnson and K. Perkins, even Steve Orlando and Jody Houser all have needed to bring Kara back from the dark and have her embrace Earth as home and swear to defend it. 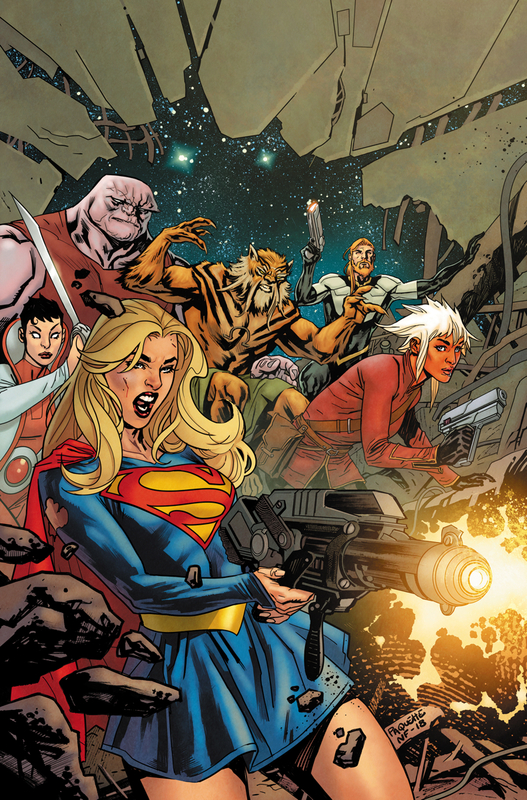 So, of course, after Orlando and Houser have Supergirl back on the straight and narrow, DC pulls the plug and has Marc Andreyko send Supergirl away from Earth, away from her supporting cast, away from that role of hero, and sent her into space. From the get-go, I was nervous. But Perkins sent her to Crucible and that worked out so I took a breath. Then I saw the first cover and read the issues. 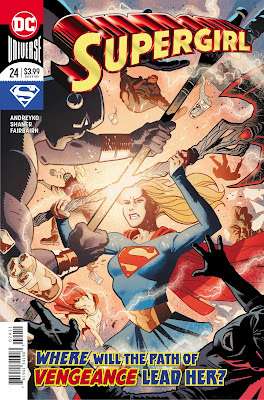 Gritty Kara, wielding a battle axe, on a path of vengeance and swearing she 'isn't Kal' ... I was worried we were back to Dark Supergirl. I didn't know how good I had it back then. Because now we have this Supergirl, de-powered, wielding a Liefeldian gun, shooting at some unknown foe while screaming in battle. Look, you want to read Scarlet, Black Widow, or any of the other gritty female-led books with gun-toting heroes, go ahead! Heck, *I* read some of those books. 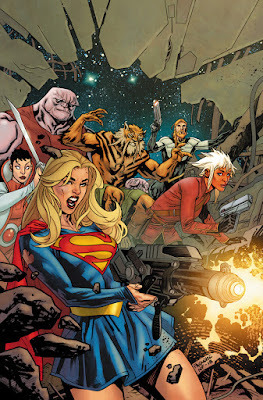 But who wants to read a Supergirl book with a powerless teenage girl shooting a gun? Maybe this will all turn out fine. Maybe it's a stun gun. But I am not happy. Supergirl shouldn't be powerless. Supergirl shouldn't be mowing people down with a rifle. So I know that Supergirl shouldn't be powerless AND be mowing people down with a rifle. As Supergirl fans, I think we should probably give thanks to Stanley 'Artgerm' Lau, someone who seems to be able to wave a magic wand over Supergirl sales. Amazing! So raise a glass of mulled cider or have an extra slice of leftover pumpkin pie today in his honor. And why am I saying all this today? Now October had DC roll out special foil cover variants. So some of what I am about to discuss might be collector zeal for fancy, shiny covers. Still the numbers are jaw-dropping! Supergirl #23 was the third issue of the new direction by Marc Andreyko and Kevin Maguire. Sales weren't exactly brisk with the bold, new direction. 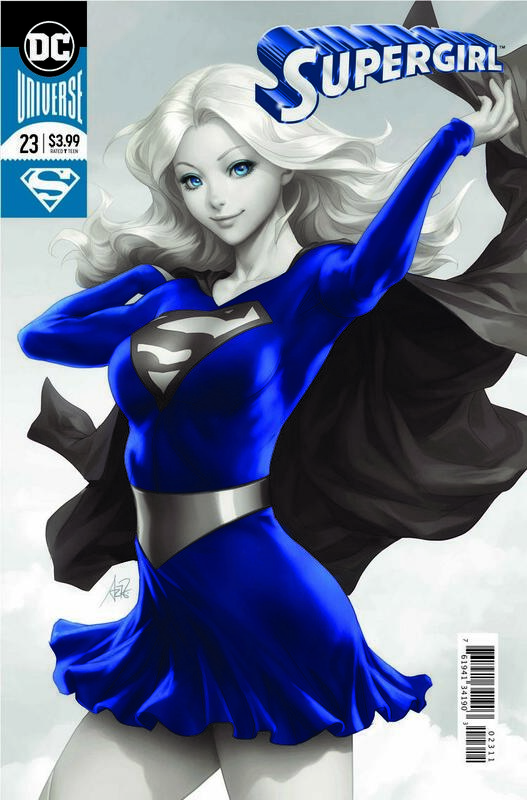 And one thing that had changed was that the Artgerm variant covers ended with Supergirl #20. Amanda Conner took over the variant job with the changeover. And hey ... Amanda Conner ain't a slouch. I love her work and her Supergirl work in particular. Still, Artgerm gave us the above variant, the foil cover. But Supergirl #22 had 22,115 units ordered through Diamond. This was a bit of an eye opener. 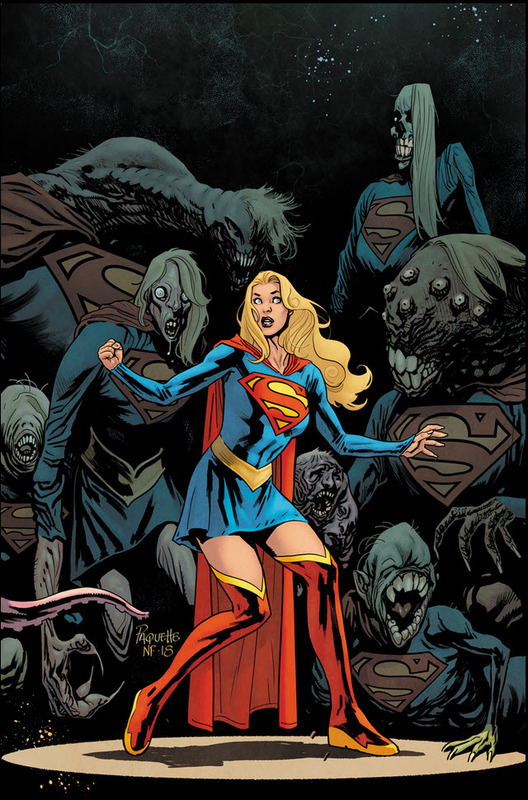 We were two issues into a new run and sales had dropped 20% from Supergirl #21. I was waiting to see if the book was in free fall. For those who celebrate, hope you have a great Thanksgiving day. I am, as always, thankful for the audience this place has. Thanks for heading here and talking Supergirl! 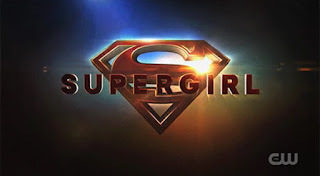 Supergirl episode 406, titled'A Call to Arms' aired earlier this week and was another very good episode in this season's overall arch about prejudice and fear. While a few notes were a little shrill, overall this episode continued to show how complex this topic is. And for a show like Supergirl which has been holier than thou at times with ham-fisted scripts I have to applaud the writers and producers. While the main theme for the season has been fear of aliens, a clear metaphor for immigrants and racism (or any of the other phobias of 'other' out there), I think a current coursing under the theme is just how far people will be pushed by their fear and anger. And the writers have to be commended for showing us a number of shades of gray. It starts with the villain Ben Lockwood, pushed towards anger and hate by a series of unfortunate events which left him fearing for his family's life. Warped from a reasonable person to a hate monger, he has a line he has drawn. He won't kill humans. Will his crossing that line show him the errors of his ways? Meanwhile, the opposite side of the coin is Manchester Black, a man who loved an alien and had become a man of peace through his love. Now with his fiancee killed, he has also been twisted into a hate, killing and torturing his fellow humans to get what he wants. And there is Kara, the beacon of hope who is constantly being asked to stay out of the mud. She has had moments of self-doubt that maybe she is too optimistic. Will she be dimmed. But the most intriguing person might be Colonel Lahey, a side character who at times seems like a clear-thinking person, assessing threats. At other times, she is just as slimy as Lockwood. Which way will she turn? Can she be redeemed? Shown the light? While all this was there in this episode, we also got Helen Slater, Thankisgiving dinner at the Danvers, mysterious stuff about Nia, and a fight with a dragon. Just wonderful. 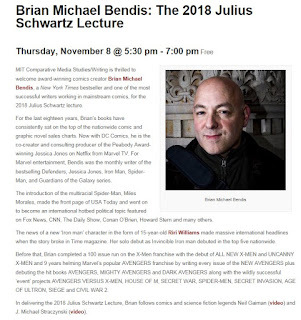 On November 8th, I had the luck of driving just a few miles from my place of work to MIT. 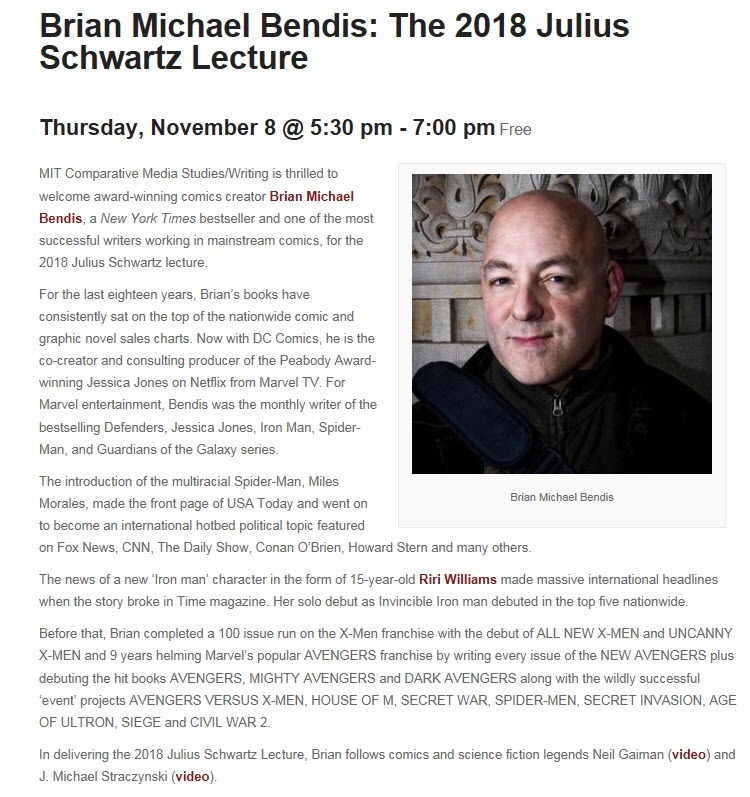 And there, I was able to take in the MIT Comparative Media Studies Program 2018 Julius Schwartz Memorial Lecture. Past lecturers have been Neil Gaiman and J. Michael Straczynski. This year it was Brian Michael Bendis. The lecture was open to the public and held in a big auditorium style class room on campus. It looked like about 100 people were in attendance. Given that he is now on the Superman books and has written a bunch of books I loved, I was thrilled that I was able to attend. Superman #5 came out last week, written by Brian Michael Bendis with art by Ivan Reis and Joe Prado. I have said in the past that Action Comics has been more enjoyable to me recently. But the last two issues, Bendis has really brought it. There is a lot here that I loved. There is humor. There is plot progression. Bendis picks up a plot thread that has been hanging for a while. Heck, I even like General Zod in this issue. I haven't been interested in Zod in about a decade. Just amazing. Two moments stand out. There is a moment of Ma and Pa wisdom at the end which made me sit up and cheer. And there is a Lois mention that showed me that maybe Bendis gets the Kent/Lane relationship at its foundation. They happen back to back at the end of the book and I was thrilled. Pitch perfect ... you'll see. Add to that the usual stand-out art by the team of Reis and Prado. There is something so classic about their approach to the material. Whether gleaming spires or ruined zones, the two bring it. In particular, Superman looks pretty ragged here, appropriate given the fight he has been through. 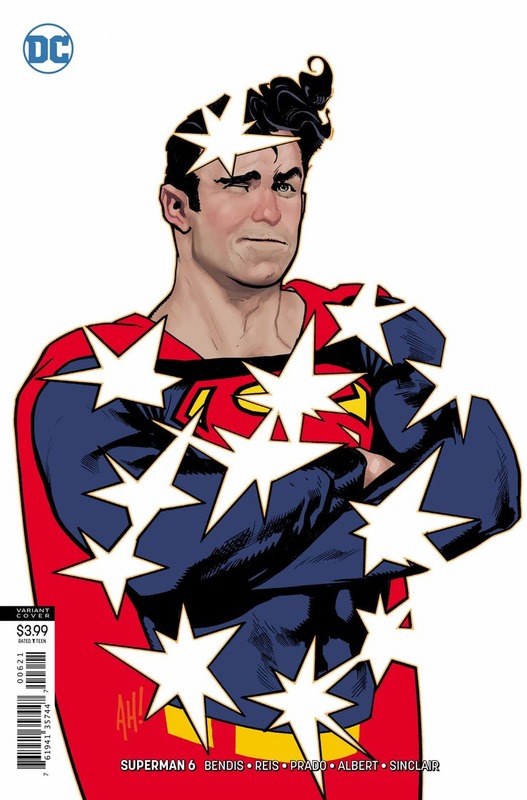 I also love Adam Hughes' cover, riffing on the classic Superman #32 cover from the 40's. Supergirl #24 came out this week and I won't bury the lede. It has Doc Shaner art. Since I discovered Shaner's art I have wanted to see his take on Supergirl and he doesn't disappoint. That is not to say that Kevin Maguire hasn't been killing it on this book; he has. But there is something just magical, just gorgeous, just grin-inducing about Shaner's art and his take on Kara that elevates this issue tremendously. Expect me to gush throughout the review even though I have already blasted you with superlatives. The story in the issue is good, advancing the plot of detective Kara trying to uncover what Rogol Zaar and 'The Circle' had to do with Krypton's destruction. I feel like the first three issues have been something of prologue, starting Kara out on this intergalactic journey. Now, out in space, writer Marc Andreyko can start to put the rest of the pieces out on the chess board. A couple of new characters are introduced. And we continue to move forward on Kara's quest to reunite the crystals Appa Ali Apsa. Sure, Kara seems more of the angry, 'punch first' Supergirl of past years. The cover touts her 'path of vengenace'. It seems like a step back in her characterization. At least, at times, she seems like the bright, inquisitive Supergirl we have seen recently. But the big win here is Shaner's art. It is just a fill-in. He has no other planned issue of Supergirl ahead. Maybe the hue and cry of the common folk can bring him back as designated pinch hitter? 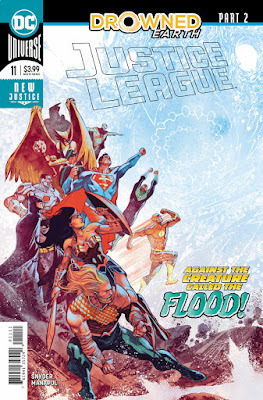 I feel like it is a little bit of a cheat for me to review Justice League #11 because I am not getting the entirety of the Drowned Earth storyline. I am not getting the stand alone issues. I am only getting the main title books. So I don't know if it is fair of me to review interval chapters rather than the whole arc. That said, I have been reviewing and lauding this book since it's premiere and I didn't think it felt right not to review the book. So ultimately I decided that I would include a review of the issue, at least showcasing the elements that I liked as well as hitting on moments that impact plot points brought up in the earlier issues. Scott Snyder continues the keep things moving forward at warp speed. A lot of ideas and plot progression happens here. But what I loved about this issue is the sneaky character moments that if you blink or gloss over, you'll miss. Francis Manapul is on art and really shines here. There is a thicker, harder edge to his stuff. I usually think of breathier, more pencil-y work with Manapul. But the style works here with this world-threatening incident unfolding. So I won't go too in depth here. But there are moments that are too good to not share. I have been very pleased with this season of Supergirl. The first four episodes were quite tight, with good character moments, good action, and very solid story-telling. Prior seasons and prior episodes have been heavy-handed or clunky. 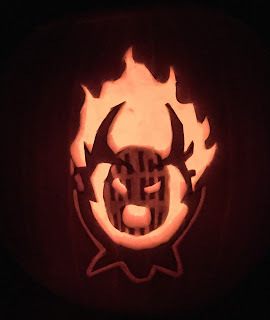 And I haven't had to say that this season so far. Episode 405, titled Parasite Lost, was a decent episode. It progressed the overall plot. There were some nice character moments. Alex Danvers ultimately saves the day with Supergirl acting more as a bystander. While Kara the reporter gets a boost, her role as superhero is again diminished. 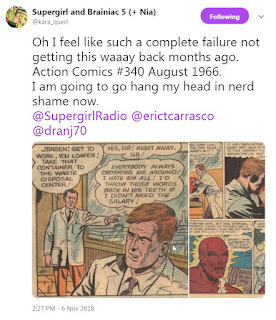 Kara again isn't the hero in her own show. There was a great moment at the end for J'onn J'onzz which elevated this episode a lot for me. And once more, there is a nuanced approach to the metaphor of alien as immigrant. We saw a more sympathetic view of Agent Liberty a couple of weeks ago. Here we start to see signs of how hate can drive people deeper into evil. In fact, I think two themes of the season are starting to percolate a bit. After such a solid beginning, I felt this was a bit of a 'treading water' episode, a mini-step back from the excellence we have seen before. Good is still good. I thought this was solid. Just not as fantastic. And we don't get a single mention of Mercy and Otis. I still don't know if they are dead! Just this week on the Supergirl show, Agent Jensen was turned into the Parasite to vex our hero Kara and the DEO. Now most people, myself included, jump to Rudy Jones as being the Parasite. So when someone named Jensen was introduced on the show way back in the premiere, I didn't think to much of it. 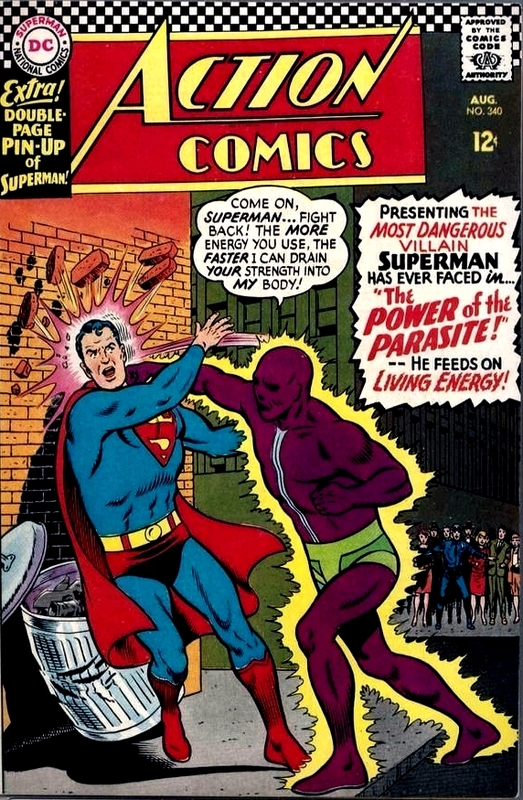 Then Supergirl fan extraordinaire @kara_querl that the original Parasite, from Action Comics #340 was named Raymond Jensen. Supergirl staff writer Eric Carrasco confirmed this had been planned since the first episode. 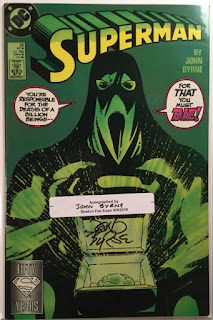 Feeling myself like a bad fan for not remembering this on my own, especially given that I actually own the issue in my collection, I decided that a back issue review was warranted. So get ready to read about the first appearance of the Parasite! 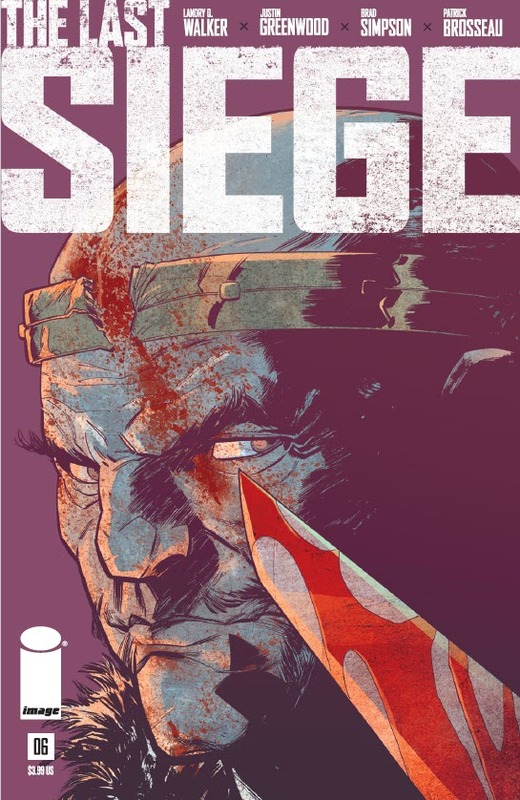 The Last Siege #6 came out last week and continues to be an ultra-dramatic story racing towards its conclusion. I have said all along that this movie has been playing out in my head like a film, Braveheart meets The Good, The Bad, and the Ugly meets Seven Samurai. From the pacing to the panel composition to the plot, it all feels like a Spaghetti Western hopped up on mead. And I have loved every minute of it. Writer Landry Walker has done a great job bringing this tale up to a roiling boil. After issues of set-up and back story, the pieces are all on the board. And now the board is on fire. Incredible. Along with this deliberate ratcheting up the action, we still get great character beats. We learn the history of Tomislav and Istvan both within the illustrated comic and in the text pieces in the back. We see Lady Cathryn go from innocent silent girl playing with dolls to wounded combat leader rallying the troops. This has been a meaty read from all angles. Artist Justin Greenwood continues to bring us a bleak gritty landscape with his inky work. But one thing I have appreciated along the way has been his ability to convey information through body language. In this book, you can feel the weariness in the beaten warriors' bones. You feel the nervousness of the characters fleeing the carnage. So much is said without words. Rounding out the team is Brad Simpson on colors. Given the amount of gore and fire in this chapter, we get a brighter palette than the usual one for this book. We are bathed in yellows and oranges that bring the story out of the shadows. We also have Pat Brosseau on lettering and he brings his usual panache. I've been thrilled with this book so far. The end is nigh! Adventures of the Super Sons #4 came out this week and continued this hilarious romp through the DCU. From the beginning it was clear that writer Peter Tomasi was going to have fun with this series. Jon Kent was going to be changed by Brian Michael Bendis. This interaction and this duo would never be the same again. So why not just let it rip and have a blast. I have said in prior reviews that this seems like a tour through the history of the DCU, a mix of Silver and Bronze age pastiche barely held to by a plot. But I don't care. Last issue we got a take on Superman Red/Blue and an appearance from Space Cabbie. This issue we have dialogue that is lifted from movies to a possible Marvel homage to a riff on DC's Bronze age horror anthologies. It's perfect. I am having so much fun with this book. I'm not expecting War and Peace. I am expecting a fun ride. And that is what Tomasi is giving us. It is almost perfect that this book came out a week after Halloween because this was a sweet treat, a confection. Carlo Barberi continues to bring a zany energy to the book walking the fine line between stylized and over stylized. The somewhat cartoony like look clicks with the Looney Tunes plot. And his Sons are perfect. This is how I picture them in my mind. 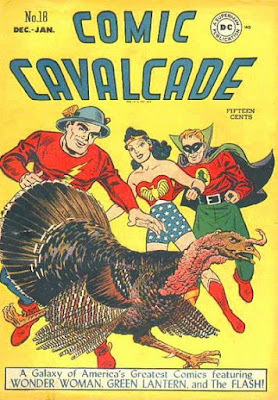 And that homage to DC's past is evident right from the cover, a classic horror comic motif (see cover of House of Mystery #174 of The House of Mystery treasury). It is a shame we only have so much of this book and this dynamic left. On to the issue! Supergirl episode 404, titled 'Ahimsa', aired this week and was another strong character episode in what has been a very strong season. Yes, there was action, one might say 'Marvel-ous' action. And yes there was plot progression. But this was again about looking at how the plot of alien amnesty and xenophobia is effecting people. I am thrilled with this season so far. This is also the episode with the suited Supergirl, probably because Melissa Benoist was so far away on Broadway. The DEO is trying to clear the air of Kryptonite. And I might be looking to deep for metaphors, but each character has something weighing on them as well. They need to clear the air, revealing their problems and working through them. Some make perfect sense, like Alex suddenly dealing with the weight of leadership. Or Brainy dealing with uncertainty and how his emotions make working through that doubt difficult. Others make less sense, like J'onn saying he has lived his life 'steeped in rage'. But overall it worked. And that's all that matters. As for the action, some of the villains' actions and motivations are a little wonky. But they are appropriately scary and nefarious. I like seeing the smooth words and charisma of Ben Lockwood coming to the foreground of the main plot. I consider myself a con veteran. I prepare meticulously and try to be ready. I often have the experience mapped out mentally as I enter. Yes ... I know ... insanity. And every so often I am delightfully surprised. 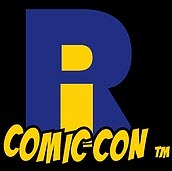 I went to the Rhode Island Comic Con this weekend with very little expectations. There weren't many comic creators on the guest list. And I only had a couple of issues for signature from that limited guest list. I honestly went more because it is an annual trip for me and my brother (he is a huge Star Wars fan so we cover a swath of cons like this). Meet Laura Vandervoort again, have her sign a Smallville comic, and not be a nervous blathering idiot like I was the first time I met her. Meet Kevin Nash, founding member of the NWO and one of my favorite wrestlers. Get single issues signed by Kevin Eastman and Bob Layton. A commission wasn't even on my radar but luck favors the prepared so I chucked my main sketch book into my bag and off I went. Bear with me because the best stuff happened at the end. This October had five Wednesdays which meant that there would most likely be slim pickings on the comic shelf. While DC did put Heroes in Crisis #2 and a Batman Secret Files out there, we also got the next wave of goofy team-ups between DC characters and Hanna Barbera properties. Thus Superman/Top Cat #1 by Dan Didio and Shane Davis was available for review. Now I had a lot of expectations for this book. For one, prior recent DC odd team-ups with cartoon characters (things like the wonderful Bugs Bunny/Legion of Super-Heroes or Batman/Elmer Fudd) were very well done, exceeding what I thought possible. Also, I am a huge fan of the old cartoon Top Cat, watched on reruns in my youth. Here I met that smooth talking Top Cat, always trying to get rich quick. There was a Phil Silvers analogue; there was a Cary Grant analogue. They always seemed one step ahead of Officer Dibble. Top Cat is a relative unknown these days so I was thrilled to see him back in action with the Big Red S.
Unfortunately, the book was sort of a let-down. Top Cat in this comic could have been any number of cartoon characters. He wasn't 'Top Cat'-ish enough to capture the cartoon. None of the other characters appear here. And outside of some puns and some sarcasm around vegetables and Amazon, there wasn't much fun to be had here. The solicits for January 2019 were released earlier this month and the solicit for Supergirl #26 had a very interesting line in it. Supergirl…super-captured! Still recovering from radiation poisoning, Kara finds herself in the clutches of the Citadel and its ruthless leader Harry Hokum, who is eager to experiment on one of the last Kryptonians in the known universe. Given the mention of Harry Hokum, I thought I would comb the back issue box and review The Omega Men #3 from 1983, an issue which is notable for being the first appearance of Hokum! Okay, that isn't true, While this is the first appearance of Hokum, this issue is most famous for being the first appearance of the Lobo. While this is Lobo in look, this is not the Main Man most people are used to reading about. Here he is a calculating bounty hunter who sports a 'Goober Grape' one piece costume, a far cry from the cigar chomping, hog-riding, brutal killer of the current DCU. Hokum is a pretty impressive villain here, a displaced Earth man who is somehow in the Vega system and a political manipulator from behind the scenes. He looks a bit like Vermin Vundabar of Fourth World fame. But despite his slight frame, he is able to stand up to violent leaders of The Citadel and become part of the inner circle of the fascist regime.